There is so much misinformation being disseminated at the current round of “town hall” meetings it is hard to keep up with all of it. If you have been subjected to this mendacious onslaught, let me set the record straight on a few issues. There has never been a lockbox for the drainage fees and there will not be one if Proposition A passes. Less Than Half of the Drainage Fees have been Spent on Drainage. The City has an “informational” website on the Rebuild proposition (Proposition A) which claims that $800 million has been spent on drainage project. It is a flat out lie. The City’s own records show that less than half of the drainage fees have been spent on drainage project. Rebuild Houston has not Paid Down Any Debt. I have written about this before in detail [click here]. 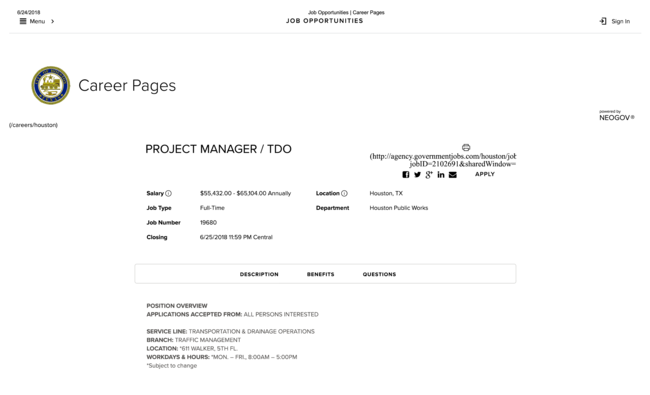 But the bottom line is that the City has the same amount of public improvement bonds now that it had before the Rebuild Houston program started. In addition, the City’s “off-balance-sheet” entities, mostly the TIRZs, have added more than $300 million in new debt since Rebuild was adopted. To put it bluntly, anyone who says that Rebuild Houston has paid down any debt is either misinformed or outright lying. The City Does Not Have a Revenue Cap. 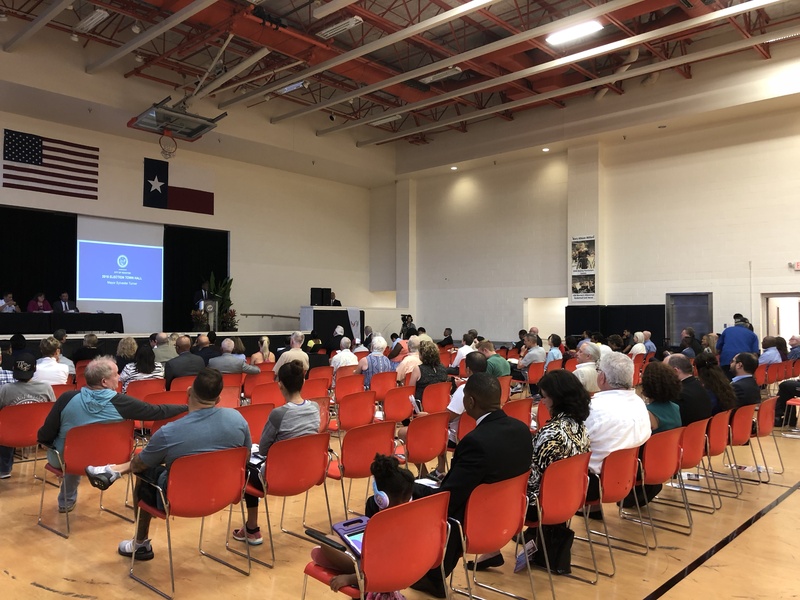 At the town halls, City officials have incessantly repeated the false claim that the City’s revenues are capped and that it cannot raise any additional funds. In 2004 voters passed a charter amendment that limits the amount that City Council can raise property taxes without getting voter approval. The limit is the sum of inflation and population growth (typically around 4%). Property taxes only make up about a quarter of the City’s revenues. The other 75% of the City’s revenues are not limited. Since voters imposed this restriction on the growth of property taxes in 2004, the City revenues have increased from $2.6 billion to $4.9 billion, a 77% increase for an annual average of 4.6%. This increase would be even higher if we added back various “off books” entities, like the TIRZs. The City does not include these in its numbers, taking a page from the Enron playbook. Even with all this financial gimmickry, the general fund revenues still were up by $80 million in just the last year alone. Anyone advocating to remove the property tax cap wants to increase your property taxes by more than 4% per year without your approval. The Fire Fighters’ Pensions Were Cut by an Average of $160,000. I have also written on this in detail. [Click here.] The most recent tack taken by City officials is to claim that it is impossible to know exactly how much any particular fire fighter might lose as a result of the new plan. That much is true. But we do know how much the Texas Legislature and the City of Houston have estimated will be saved in total. Those numbers have been adopted by the City and included in its last annual financial report. If we take that number and divide it by the total number of members in the firefighter plan, we can determine the average cut per member. If that number is not right, the City has issued a fraudulent annual financial report. We all know that we are living in an age where facts matter less and less in what passes for political dialogue and debate. But in the real-world facts do matter. In the real world, homes flood unnecessarily, potholes go unfilled, burglaries go uninvestigated, and ambulances break down on the way to the hospital. In the long run, facts prevail over spin.